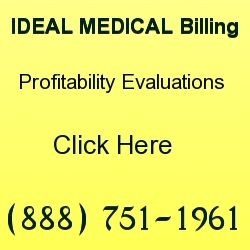 It is never easy to find a medical billing company that specializes in Ob/Gyn services. At Ideal Billing Solutions, we are happy to say that we have lots of experience in billing for gynecology doctors. We know that you need to have appropriate software in order to input the correct ICD-10 codes. 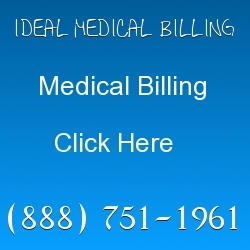 We are one of the top companies that deals with all kinds of medical billing. Your healthcare matters to your patients. Many physicians spend countless hours a day worrying about their billing. It is said that gynecologists are spending more time with their billing then with their patients. Doctors are having a difficult time understanding ICD-10 coding and billing. In order to stop this from happening, it is important to outsource your billing to the right company. 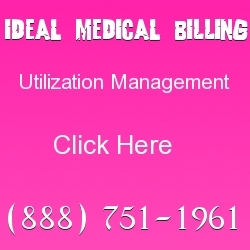 Ideal Billing Solutions is known for its expert practices in utilization management, billing, ICD-10 coding and so much more. Our certified coders go through each of your claims on a regular basis to see when they are going to get paid on. No longer do you have to worry about if your claim was submitted correctly or when you should expect to see your revenues increasing. At Ideal, we know how important it is to keep your Ob/Gyn practice up to date. We handle a lot of the paperwork for you and make your job easier. You only have to tell us what your needs are and then we take it from there. Coding today is a lot different than it was 10 years ago. Today, physicians are having to think hard about their billing. If you are losing profits with your current in house billers, we understand. Most of our clients came to us when their own in house team couldn’t bring in enough profits to keep the practice open. With Ideal, you start to see your revenues increase within the first few months. Our coders have many years of experience. This is all that we do. We are experts in the field of medical coding and billing because this is what we do every day. You will find that our staff is friendly and easy to talk to. We have a good working knowledge of anatomy and physiology as well. Did you know that gynecology is one of the fastest growing fields right now in billing? It is mainly due to the fact that gynecologists are seeing a benefit to outsourcing their billing. They are saving money by outsourcing and not having to buy expensive software. If you haven’t already upgraded your billing software, you are going to need to. The codes In ICD-10 are often longer than they were in ICD-9. If you work with Ideal Billing Solutions, you don’t have to invest in any expensive software. We take care of this for you. Our clients are happy to tell us how much money we are saving them. We work on a percentage scale as well. This means that we make money only when you make money. Our goal is to keep our clients happy. We want your billing practice to stay with us for life. In return, you will get a company that is long lasting and powerful. You will work with a company that wants to see you growing. It is always great to have partners that want success in all aspects of the industry. Ob/Gyn billing services are not as difficult as they may seem. To be honest, expert billers tend to handle billing a lot easier when it comes to working with OB/GYN’s. It is possible that a gynecologist can see their revenues increase by 25% or more because of outsourcing. If you read most medical journals today, they make it clear that outsourcing is something that is becoming more popular. Years ago, many ICD-9 coders worked from home. The software was less complicated to build. However, in 2016 and beyond, medical billing has become more complex. ICD-10 makes it harder for people to just work out of their living room. Most medical billing companies are renting office space in order to keep up with the demands of billing. If you are like me, you probably want to get ahead and work on what you were trained to do. Women want to spend more time with their doctors. Now a days, doctors only have around 10 minutes to spend with their patients. Many women that visit their Ob/Gyn regularly say that they often have to wait long periods of time before they get to see their doctor. It is not uncommon for your patients to switch offices because they are unsatisfied with the customer service that you are giving to them. Today, it is important to keep your customers happy. People often write what they feel about your clinic on social media. It is even worse when they feel that you billed them incorrectly or are sending them a bill in the mail that is unexpected. Your patients will often argue with you and say that their insurance company covers these procedures. However, your in house medical biller tells you that the insurance company “kicked back” the claim and no longer wants to pay. You don’t know what to do except to send your patient a bill. This can be avoided if your coder knew how more about ICD-10. To be honest, most coders today only know a small fraction of what they need to. It is becoming clear that outsourced medical billers are more knowledgeable about ICD-10 because they have been working with it long before it got released to the public. Many OB/Gyn’s have to make the decision to outsource or keep everything in house. You will find that it becomes cheaper to outsource and you don’t have to pay for the software that always needs to be upgraded. It is important to take your time with medical billing and coding. Allow others to see that you can help them to become more successful. In time, you will find that the billing process becomes easier for you. 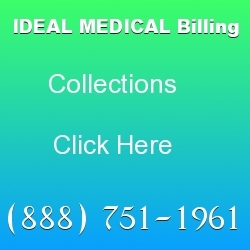 Ideal Billing Solutions has an individualized plan for every business. Most gynecologists tell us that we know a lot about anatomy and physiology. Our coders are not just into billing. They study all aspects of HIPAA and electronic coding. Did you know that the average biller spends at least 40 hours a year upgrading their skills in billing? They often attend workshops and take college courses to keep up with the yearly changes. Believe it or not, billing changes drastically year to year. If you bought a book on ICD-10 last year, you may want to buy another book because the rules are always changing. It is important to learn which insurance companies pay higher on claims. If you are against outsourcing your billing, at least get a billing consultant to inform you of what you may be doing wrong. Billing consultants take time to find and hire. However, they are well worth every penny because they help you to see the “light”. Thousands of physicians across the United States are beginning to take a serious look at their billing and revenues. A lot of Ob/GYN’s stop blaming the system for their loss in profits when they see that they can gain profits by having skilled billers working for them. The great thing about outsourcing your medical billing is that you can fire the company if you don’t like the results that they are giving you. The good news about billing is that it is always changing and it keeps coders intrigued.